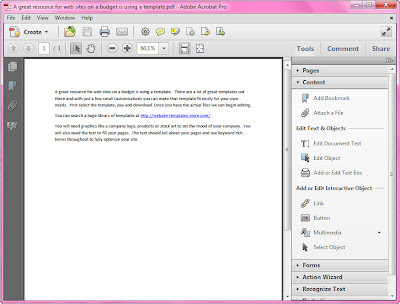 In the last post I looked at the OCR feature in Adobe Acrobat. That feature is needed if the pdf is a flattened file, but if the pdf is not a flattened file you can actually select and edit text if you have the full version. 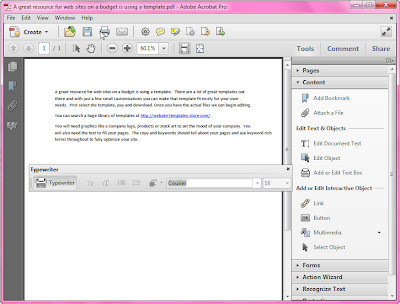 Once your pdf file is launched in Adobe Acrobat click on the Tools link to see possible features. From the list click on Content to open that palette. 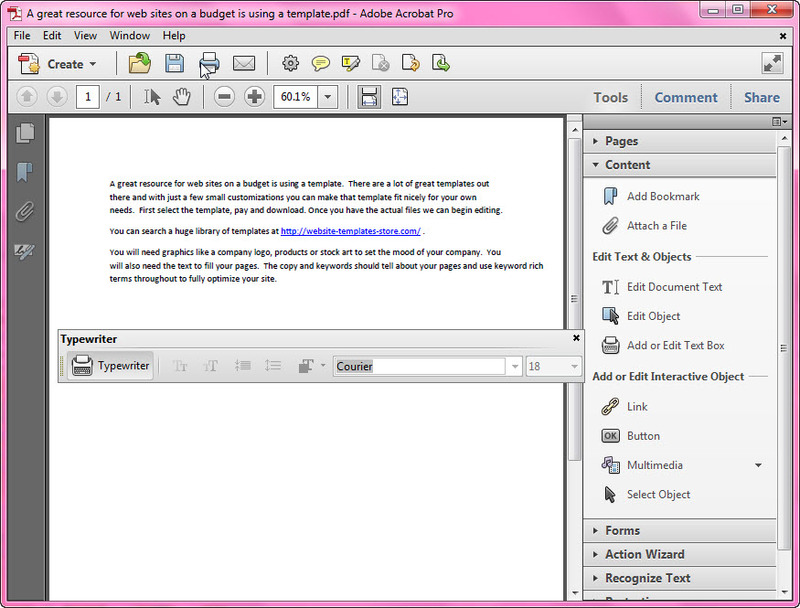 There are a lot of great features here, for editing text we are going to click Edit Document Text. Now click on the document, you can see a box outline the paragraph you just clicked in, and a blinking curser in the text. Just start typing where the curser is to add text. To edit exiting text highlight the word you wish to change and type the new word. 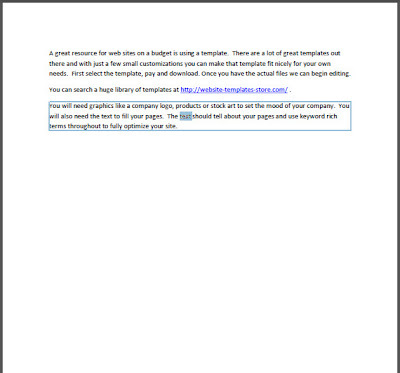 So we have edited text in a pdf, and even added to it, but we did all those changes in existing paragraph blocks. What if we need to add an entirely new paragraph? Easy! 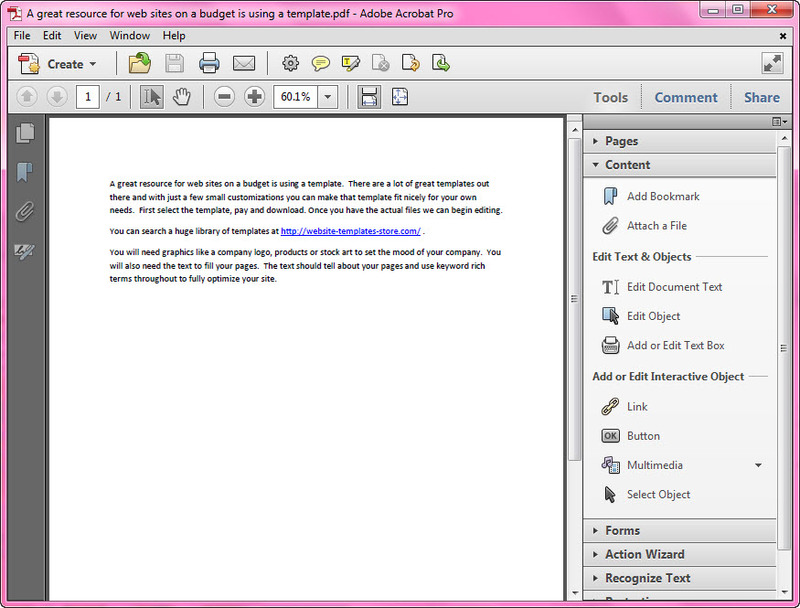 In the same Content palette, that we had found under Tools we can click on Add or Edit Text Box which will launch a text formatting menu. 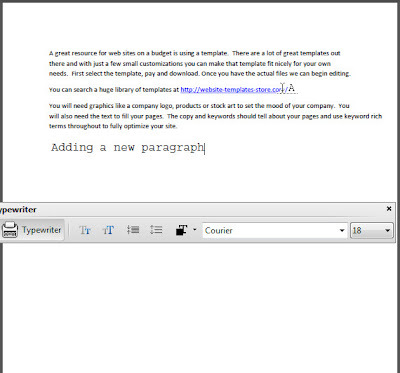 Click in your document and start typing. 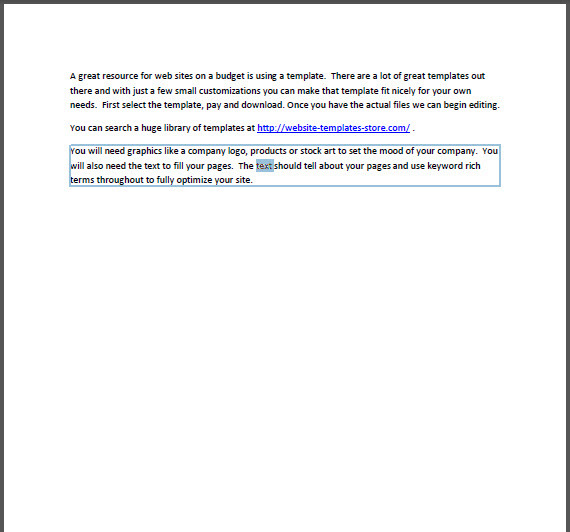 You will probably have to edit the font to make the text fit in with the rest of your document. You can either set it before you start typing or highlight your text after you type. 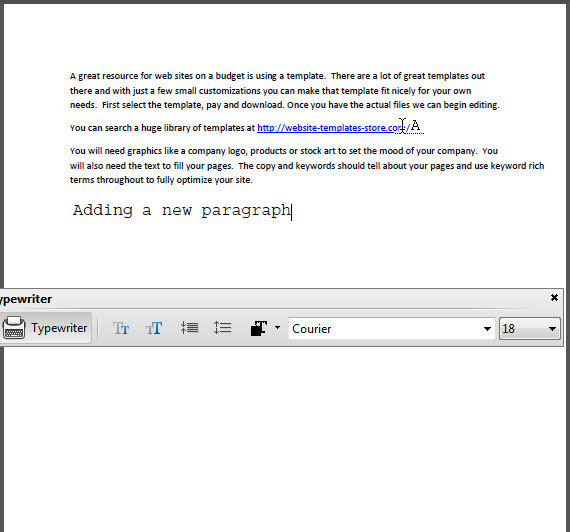 Then use the Typewriter box to adjust desired font settings. Finally just a reminder to save your document when you finish. Rename it if you need to keep the old document, since saving these changes will copy over that. I remember the days of choppy unpredictable pdf files. I was happy to view them let alone edit. Who would have thought pdfs would evolve to this! Stay tuned for another Adobe Acrobat tutorial next week.